Europe's Economic and Monetary Union (EMU) celebrated its tenth anniversary in 2009. Before its birth many observers were concerned about its viability. This volume examines a number of noteworthy concerns that were heard a decade ago and it assesses what has become of them. The contributors to this volume examine various topics. Has EMU been a failure or success? 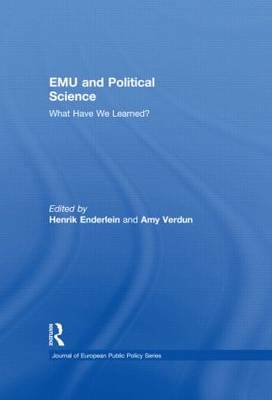 Does EMU require more political integration? What type of deeper integration in the financial market has occurred because of EMU? Does the public like EMU? Does EMU cause a decline of the welfare state, reduce the role of labour unions and are adjustments now made mainly through the labour market? Do countries in EMU become more similar over time? Is EMU sustainable in the long-run? Will EMU survive the global financial crisis? The contributors to this book are leading Political Scientists in the field, and draw on a wealth of research and experience.